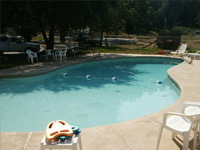 At Fawndale Oaks RV Park, we offer a pleasant family friendly atmosphere with terrific activities for your whole group. Come enjoy one of our large RV sites complete with full hookups which include 30Amp sites and select 50/30Amp sites on a level surface for your comfort. In addition, we also offer tent sites, a 28' onsite rental trailer, and a rustic rental cabin for those who do not want to bring everything with them. We do our best to ensure a comfortable place for all our guests. Our pool area and common areas are always maintained and kept clean for the pleasure of all our guests. We also provide an indoor rec area and convenience store in case you forget any of those last minute necessities. 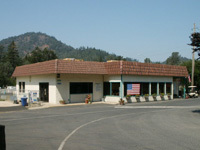 Fawndale Oaks RV Park is located 10 miles north of Redding, where you can find any supplies or services you might need. The Shasta Cascade area offers plenty of fun things to do. 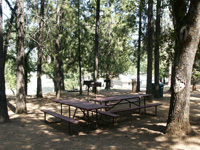 Make Fawndale Oaks RV Park your home away from home while you enjoy boating and fishing at Shasta Lake, hiking and biking in the Whiskeytown National Recreation Area, or golfing at the Mount Shasta Resort Golf Course, McCloud Golf Course, or Lake Shastina Golf Resort. From great family sports at the Big League Dreams Sports Park to water slides and games at Water Works Park, you'll find plenty to do and see in Northern California. For those traveling with a group or club, Fawndale Oaks RV Park has available a meeting and dining room with an attached full service kitchen that is perfect for your social meetings. These rooms are available and may be rented out for private parties. In addition, we also offer group discounts, so please call us if you would like to host your next family gathering, reunion, or club meeting at our park. Our friendly staff is always happy to help you with reservations or planning a great vacation. If you are planning on boating while here, we can also provide information on the best places to launch your boat or watercraft. For the convenience of our guests we have an onsite park store. A few of the items carried are: beer and wine, fresh dairy, a selection of fresh fruits, frozen meats from R & R meats, handcrafted and unique gifts, not to mention sodas and snacks. Come experience camping under and among oak trees over a hundred years old.